Sounding more like a Pokemon game, Z&Y Shanghai Cuisine is yet another new restaurant within the Central at Graden City. We decided to give it a try after Monday night softball since we were playing in nearby Oakridge. Located behind the Nando's and adjacent to the Walmart Supercentre, we were impressed with the upscale decor and fairly attentive service. However, with all things considered, the food is the most important part of any restaurant experience. So, let's get right to it! Okay, the Xiao Long Bao was not the first dish to arrive, but to us, it was the most important. Any Shanghainese restaurant needs to nail this to be legit. In some respects, they did with a thin and tender dumpling skin except the top twirl was thick and chewy. Inside, the meat was moist with a slight rebound. There was more than enough soup, but it was not exactly flavourful where there was only a small hint of sweetness to go with a natural meatiness. 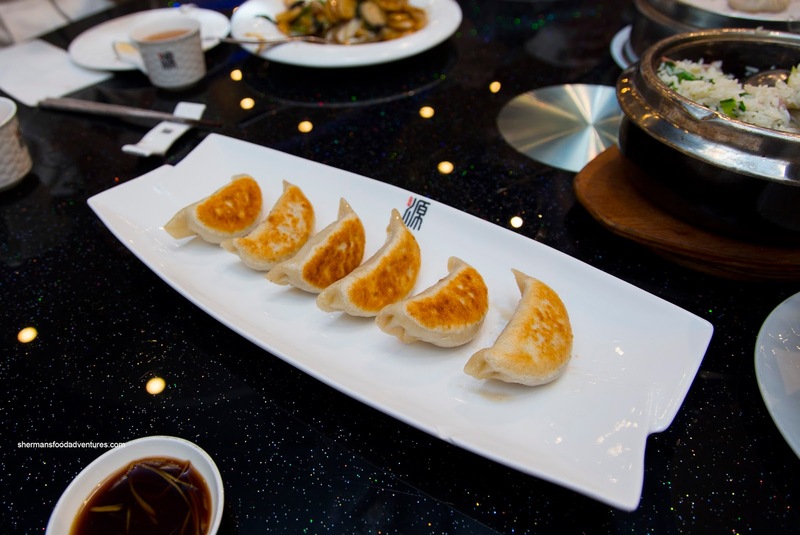 We felt the Pan-Fried Pork & Meat Dumplings (Potstickers) were far superior featuring a medium-thick skin which was appealingly chewy. 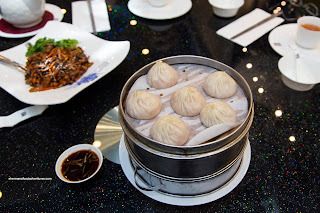 It was fried up nicely with a crispy bottom while the meat filling was similar in texture to the XLB. What really made this dumpling was the amount of juices inside. 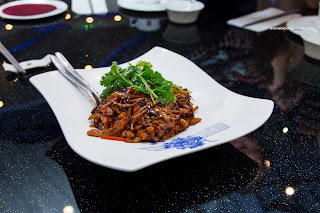 The first dish to hit the table was actually the Julienned Pork sauteed in spicy bean sauce. This is a item I generally like to order with a deep-fried bun, but we already had enough carbs. So eating it by itself wasn't ideal, but I enjoyed it nonetheless. It featured large julienned pieces of pork that were buttery and had the desired bounce texture. 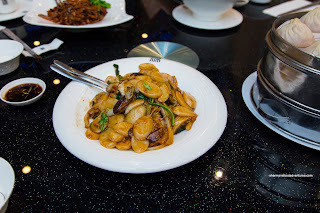 To add crunch, there was the usual wood ear mushroom and bamboo shoots. The dish was mostly sweet with a mild kick at the end. 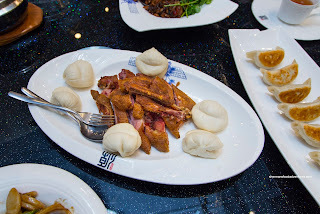 Since we ordered the Tea-Smoked Duck that came with steamed buns, it worked out as we used the buns for the pork. This was partially due to the fact the duck was far too dry and chewy. The skin was nicely rendered and crispy though while the smokiness was balanced. Adding to the classic lineup, we had the Shanghai Stir-Fried Rice Cake as well. This was a decent portion of chewy sliced rice cake that featured the proper texture. The shredded pork was tender and the Napa cabbage was still crunchy. Although the flavours were acceptable, I found the lack of caramelization made the dish rather plain tasting. There needed to be more dark soy and a more aggressive stir-fry. 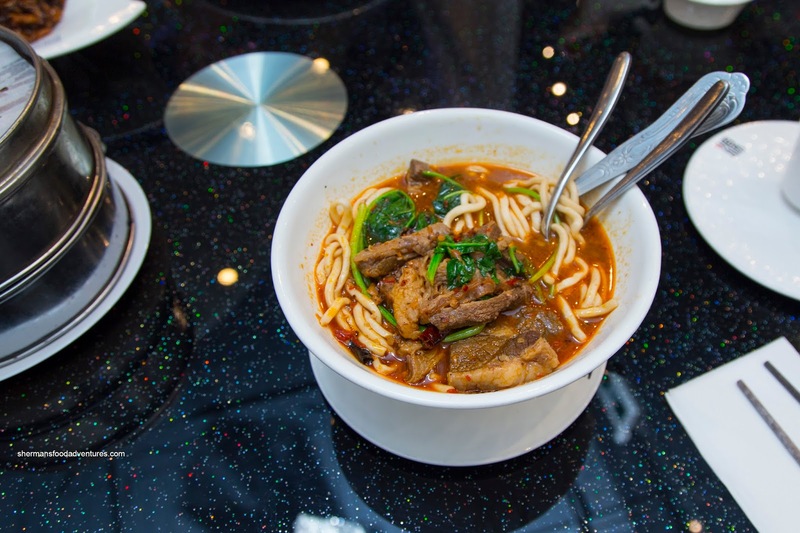 Normally, a bowl of Szechuan Beef Noodles is mildly spicy (in Vancouver at least). But they didn't wimp out on the spice level with their version. It featured a broth that was spicy from the first sip. There was a numbing spice that came through with a vengeance as I decided to drink all of the soup from my bowl in one gulp. Beyond the broth, the noodles were thick and chewy while the beef was plentiful and tender with a bite. 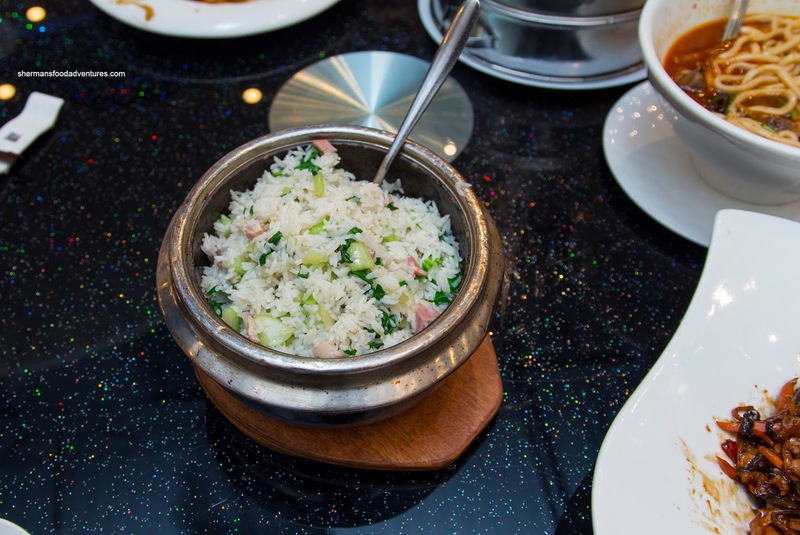 We also ordered the Ham and Vegetable Claypot Rice which ate and appeared more like a stir-fried rice merely plopped into a claypot. Hence, there wasn't enough impact and rice crusting. The nuttiness and aromatics were just not there. With that being said, if we treated it as a fried rice, it was actually quite good. Each grain was chewy and discernible while the flavours were impactful from the salty and fatty ham. The vegetable remained crisp where it added a pleasing bright texture. 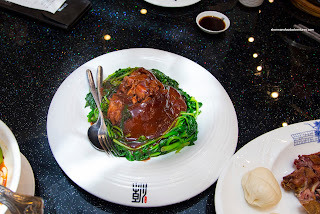 We ended off with yet another classic being the Slow-Braised Pork Hock with spinach. This was visually-pleasing and actually ate rather well. The skin and fat was gelatinous and on point while the meat was tender and moist. However, the flavours were far too sweet and one note. 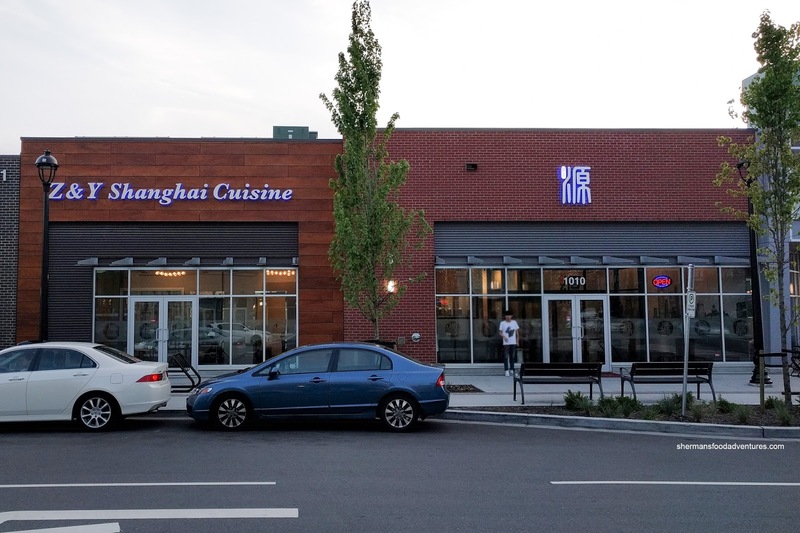 We all agreed that the food at Z&Y is passable with some highlights, but in the end, there are far better options for Shanghainese in Richmond.